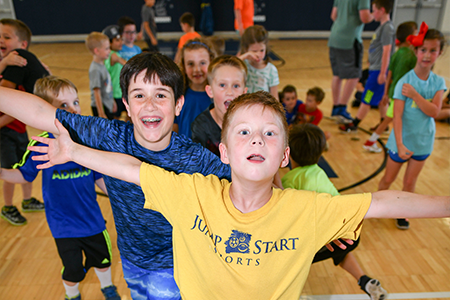 Jump Start Sports summer camps and holiday camps provide children with worthwhile, fun, and invigorating activities during their time away from school. Flexible schedules enable families to plan a child’s camp schedule around most any work schedule. Camps are staffed at a maximum 8:1 ratio and all Directors, Coaches, and Counselors are properly vetted and trained. Sport Specific Camps and Clinics enable campers to play and learn about sports that they love. 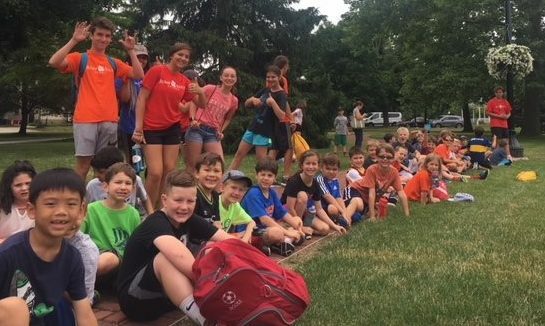 Multiple Sport Camps utilize a wide variety of creative themes to introduce children to new sports as well as sports that they already are familiar with. These themes include “Olympics Camp”, “Ultimate Warrior Camp”, “College Days Camp”, “Color Games Camp”, “All American Sports Camp”, “Sports Around the World”, and more.